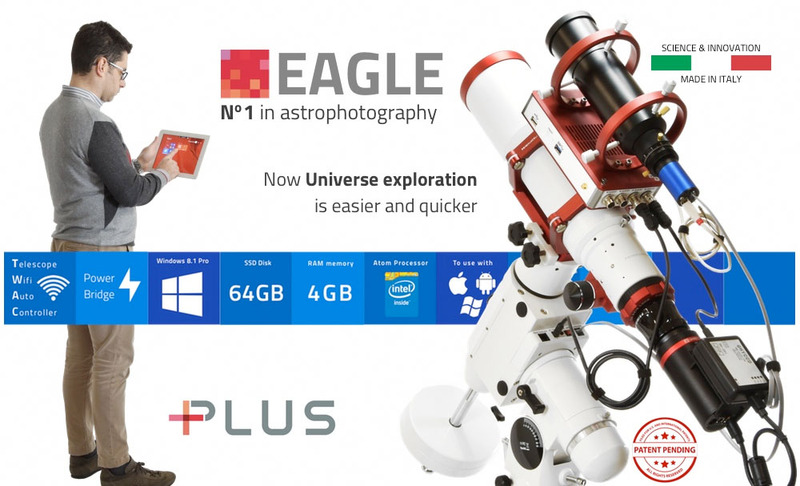 EAGLE has changed the way of doing astrophotography by putting the controlling computer ON top of the telescope and providing a perfect universal platform for those who move in search of skies with little light pollution. The new EAGLE OBSERVATORY adds more processing power, more storage space and remote control of the devices' power, all with the same form factor! That's why this is the ideal solution for the control of telescope mounts in observatory installations. Description is under construction... shows partially information about (and images of) the mobile version of Eagle... ! CHANGE THE RULES: As of today you no longer need to work with cumbersome laptops to control your telescope and all accessories (cameras, computerized mounts, filter wheels, etc.) for astrophotography. 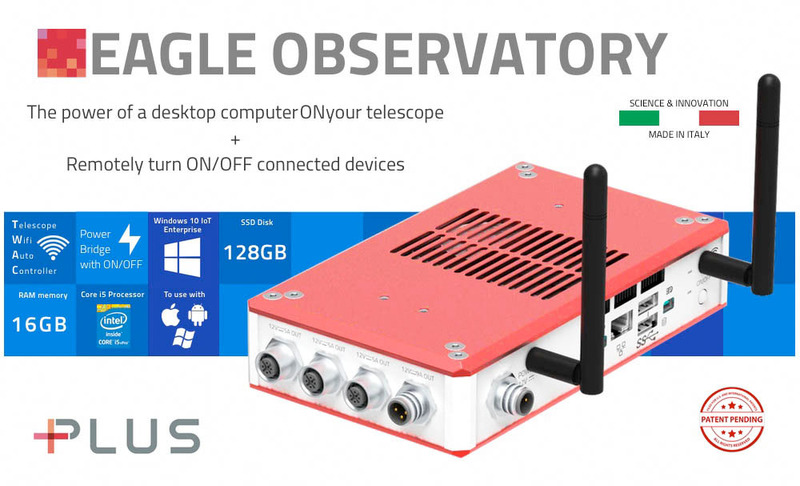 Eagle is the integrated control unit specially designed for telescopes in order to simplify astrophotography. Eagle perfectly integrates into your telescope and allows you to remotely control all functions over a wireless connection from your smartphone, tablet or even another normal computer! Above image shows specifications of the mobile version of the Eagle! Only for demonstration! 3-in-1: Eagle integrates a a computer running Windows Embedded 8.1 PRO (more stable and compact version than normal computers), a power bridge to manage all the connected devices, a WiFi system to remote wireless control, all that in a special aluminum case PLUS compatible that can be connected in various ways to your telescope, always with maximum rigidity. - Control any mount using the planetarium software: thanks to SkyCharts software pre-installed on every Eagle, gone are the days of handbox limitations having now a great planetarium software to move in the night sky. 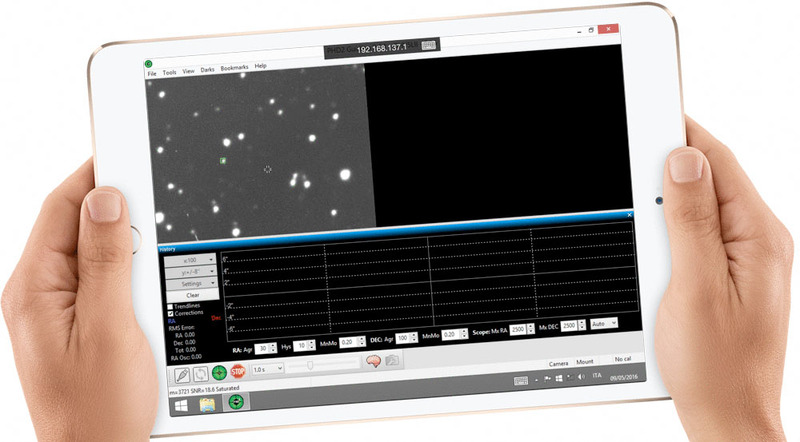 Get access to millions of objects, all with a lot of data and point your telescope (compatible with mounts with ASCOM drivers) where you want, just by selecting the object you see on the screen! - Remotely control the DSLR or CCD camera: install on the EAGLE the software for Windows included with the camera (not included in Eagle) you use for astrophotography and convert it into a wireless camera! You can watch the real-time image on the device that you use to control your EAGLE powered telescope, save it on Eagle or on a USB pen to import into the computer used to process the pictures! - Simply setup and use autoguide: EAGLE comes with the PHD2Guiding software pre-installed then it allows you to start autoguiding with many different cameras and mounts! Observes the image of the guide star and the correction chart, so you can verify the tracking accuracy of your mount for your long exposures astrophotography. - Extending functionality by installing new software: EAGLE uses the Windows operating system so you can expand its features in a very simple way, by installing the astronomical software you like, just like a regular computer. 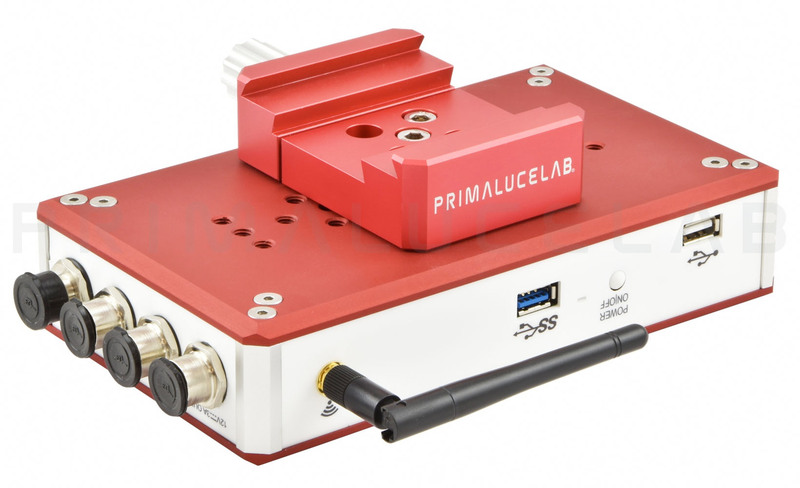 At PrimaLuceLab we know that astrophotography can be complicated and, especially, to record weak objects with long exposures, the control computer and various electronic devices are the key. These instruments, however, make it complicated to setup the telescope in the field (often in isolated places with low light pollution) and to use, with many cables that may accidentally disconnect off during use! More, laptop computers have a high power consumption and thus they require large and heavy batteries to be powered for all the night. EAGLE solves all these problems and make astrophotography easier and faster! Above image shows speciafications of the mobile version of the Eagle! Only for demonstration! - Easier to use: eliminates the need for an external computer. 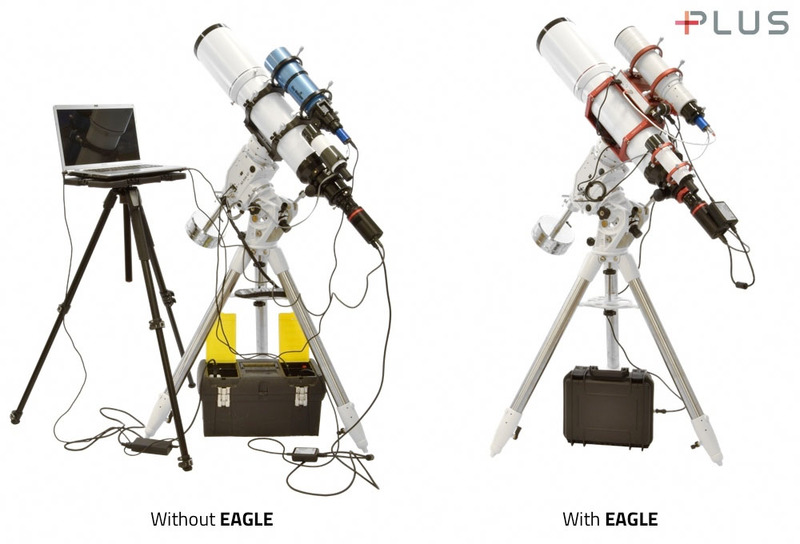 Since Eagle connects directly to the telescope and rotates with the mount while it track the stars in the sky, the problem of cables that can detach during astrophotography sessions is overpassed. USB and power cables will not come off accidentally as Eagle moves with the telescope! 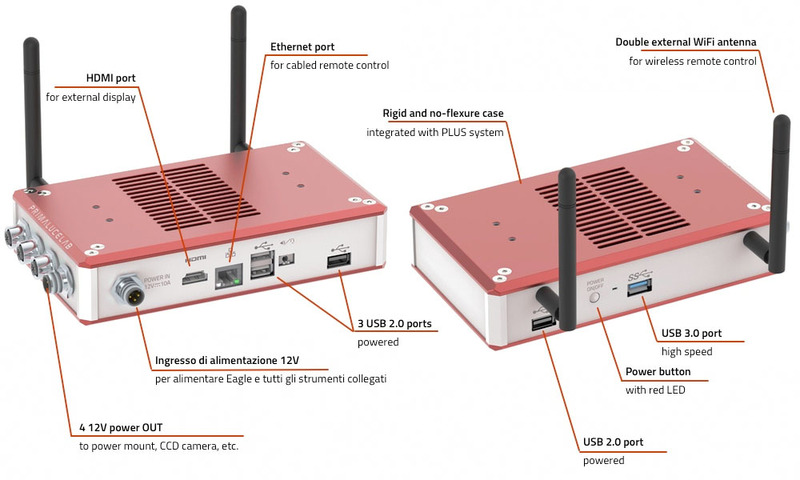 - More compatible: it allows remote control via Ethernet or WiFi from any device (smartphones, tablets, computers) with any operating system (iOS, OSX, Android, Windows). 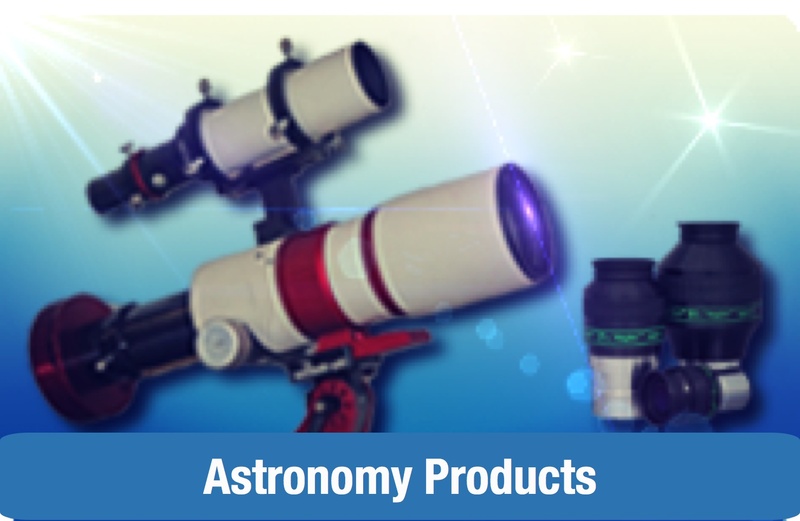 It's compatible with all software for astrophotography with any telescope, CCD cameras, guide cameras and computerized mounts. - More efficient: it manages the power for all telescope components and it reduces the size and weight of the batteries required for power up everything. - More stable: it uses a Windows Embedded 8.1 PRO operative system, lighter and more stable than the one found in traditional PCs but 100% compatible. It has no fan or moving parts so it doesn't introduces vibrations. - More portable: it is lightweight and compact, weighing only 950 grams and it integrates seamlessly into the PLUS system. 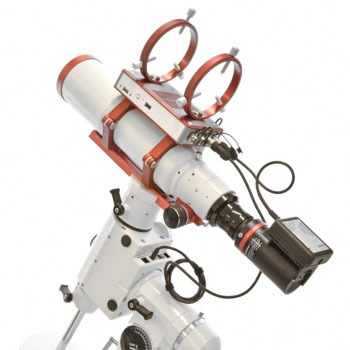 If you don't you have a PLUS element or if you use other's brand telescopes, just add our "Vixen + Losmandy PLUS dovetail clamp" to the Eagle and connect it to the Vixen or Losmandy dovetail bar of your telescope. - a computer running Windows Embedded PRO 8.1, a more stable and compact version of the operating system found on most laptops. You can use Eagle with any already exists astronomy software then you will not have to learn new software but simply install in the Eagle (like a normal computer) the one you already use: AstroArt, MaximDL, Nebulosity, PHD Guiding, etc. We optimized the Windows Embedded 8.1 PRO installation to have the operating system faster (Eagle is ready to use in just 35 seconds after pressing the ON button) and to maintain a better stability (to avoid the tedious crashes that often happen with normal computers even during astrophotography sessions). Eagle has a motherboard with Intelô¸ AtomŸ_« processor, fast 16GB memory and fast 128GB SSD hard disk, everything needed to make the system run as fast as possible. Eagle has 5 USB ports TBC (four USB 2.0 and one USB 3.0), Ethernet port and a HDMI port (so you can connect to an external monitor and use it - together with a USB mouse and keyboard - as a desktop PC, for example to process the recorded images). - a power bridge, a more efficient way to manage all of the devices used in astronomy: you'll need a smaller field battery and you will not have all the power cables from every devices to the ground. Eagle has a separate 12V power that runs a current up to 14 amps: then, using a special internal board, it has 4 power out 12V ports to which you connect all the other devices. 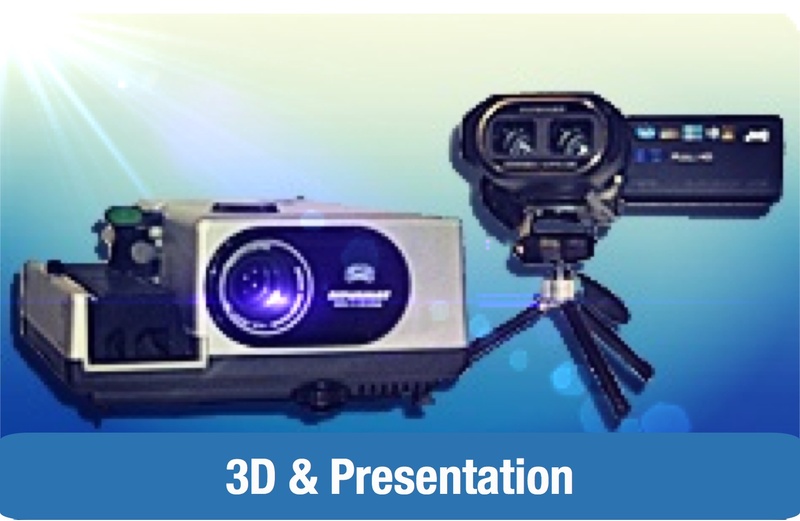 This way you can also power of your CCD camera, mount guide camera or other accessories directly from the Eagle (using the special optional cables) avoiding the need for other power supply sources and reducing the number and length of cables. In order to power all your devices, you will have only one cable that goes to the battery or the AC adapter: the one that connects to the Eagle. All the power ports are equipped with safety screw to prevent unwanted detachment of the cables or reverse polarity. 3 power out ports with 3 Amps fuse while the 4th power out port has 5 Amps fuse and it's designed for cooled CCD camera connections (since the cooling system usually needs for more power). - a WiFi control system: in order to run Eagle, you don't need mouse or keyboard: you can control it through a dedicated App, connecting via WiFi from any mobile device (tablet or smartphone) with any operating system (iOS, Android or Windows Mobile) or from another computer (Windows or Mac). It also has a network port for wired control (useful for remote control in fixed observatories). Turn the Eagle on, then turn on your device's WiFi connection and select the network that Eagle will create. 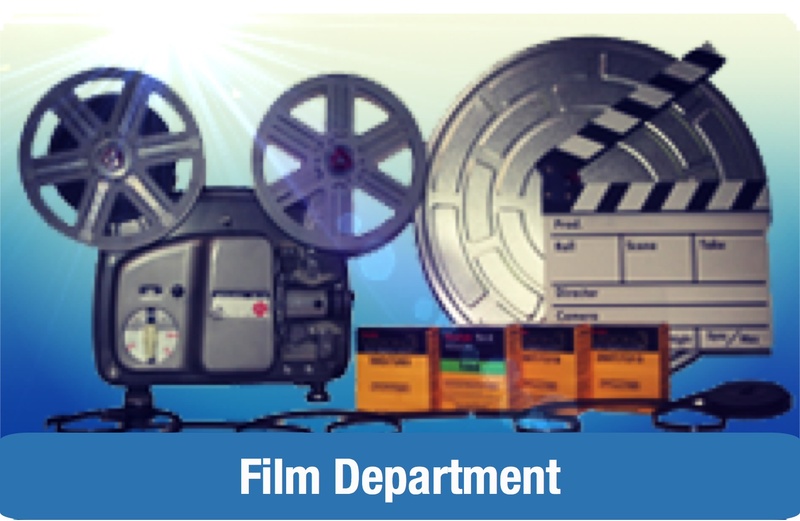 Then activate the remote control App and you will have Eagle desktop on your device screen with all your software: the remote control App uses a special mode so you can use your finger on the touch screen as if it were a mouse in a simple and fast way. After setting the acquisition parameters and start the autoguider, you can launch the images recording and turn off the device: Eagle will automatically perform the session! For your safety each Eagle device creates a different WiFi network from others Eagle (with different access password). In addition, in order to wirelessly control the Eagle you will have an access password that only you know (personally defined for every Eagle). This way you can use different Eagle once, for example during a StarParty. Eagle also has a network port for cabled control: you can for example use it for remote control of an observatory. - the PLUS aluminum case, rigid and lightweight: we designed the particular case (patent pending) to be both incredibly rigid, such as the support dovetail bars for telescopes, and to let you directly connect to any PLUS elements maintaining a perfect system rigidity and avoiding any flexure. As for all the other PLUS elements, Eagle's case has more M6 threaded holes to connect the other PLUS elements, every one with at least 2 M6 screws (in order to keep the system's rigidity). For example, it can be placed between the PLUS support rings and guiding rings perfectly integrated into the telescope. Thanks to great case's rigidity, you can directly install the PLUS guide rings on the case to support, without flexures, guide telescopes up to 3 Kg. In this way you can easily transport the telescope with Eagle, guide scope and guide camera, everything already installed, greatly reducing the time it takes to prepare your setup for astrophotography! Don't you have a PLUS element or do you use other's brand telescopes? 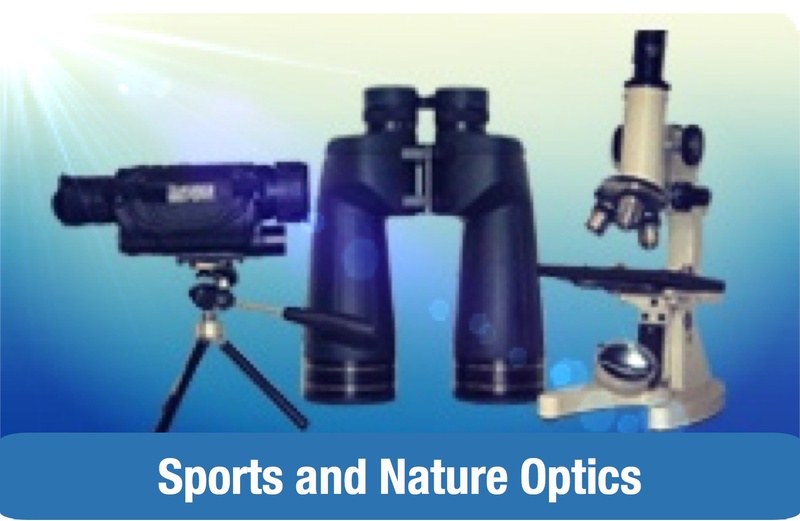 Just add our "Vixen + Losmandy PLUS dovetail clamp" to the Eagle and connect it to the Vixen or Losmandy dovetail bar of your telescope! This way you can install it where you want, keeping a perfect weights balance, a key aspect in long exposure astrophotography. Eagle can be installed beetween support and guide rings (left), connected to a Vixen or Losmandy type dovetail bar using the optional Vixen + Losmandy PLUS dovetail clamp (center) or, in case of telescopes with long dovetail bars, it can be connected on the Vixen or Losmandy bar over the PLUS support rings (right). 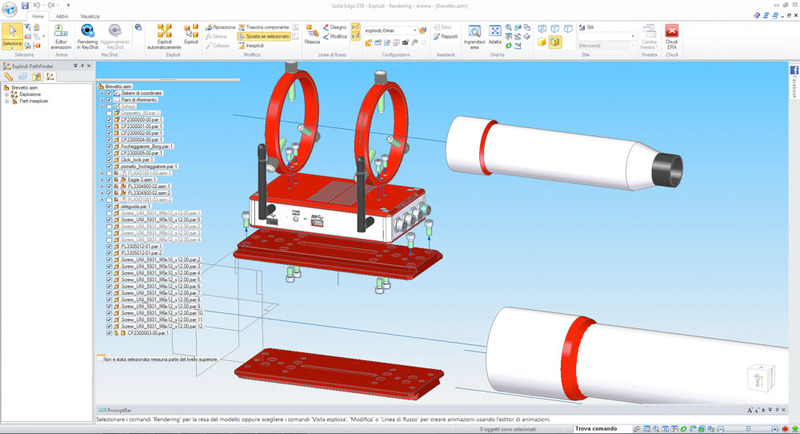 EAGLE has been entirely designed with three-dimensional design software SolidEdge in order to offer the maximum modularity with the PLUS elements (dovetail bars, rings or dovetail clamps) and/or other brand's telescopes. Eagle is also the perfect system to connect the SkyWatcher SynScan computerized mounts directly to Eagle using the EQMOD compatible cables and therefore bypassing the SynScan handpad (Eagle, using a special software, directly controls the mount without the handpad). Then we offer EQMOD USB cables that allow you to connect Skywatcher AZ-EQ6, N-EQ6, HEQ5 and EQ5 SynScan SynScan to one of the USB ports of Eagle. You can find all the cables in the Eagle-compatible accessories line. (M6 in the bottom part to connect to support rings or dovetail clamps and plates, M5 in the upper part to connect to PLUS guide rings).